After seeing a video that contained several years of self portraits, compiled from photos taken every day, inspiration struck. It would be pretty cool to allow family members to automatically document the growth of their children, changes to their own physical appearances (diet, hair cuts) in a way that is as much fun as it is effortless. Here are a few of the preliminary sketches for a smart mirror prototype. 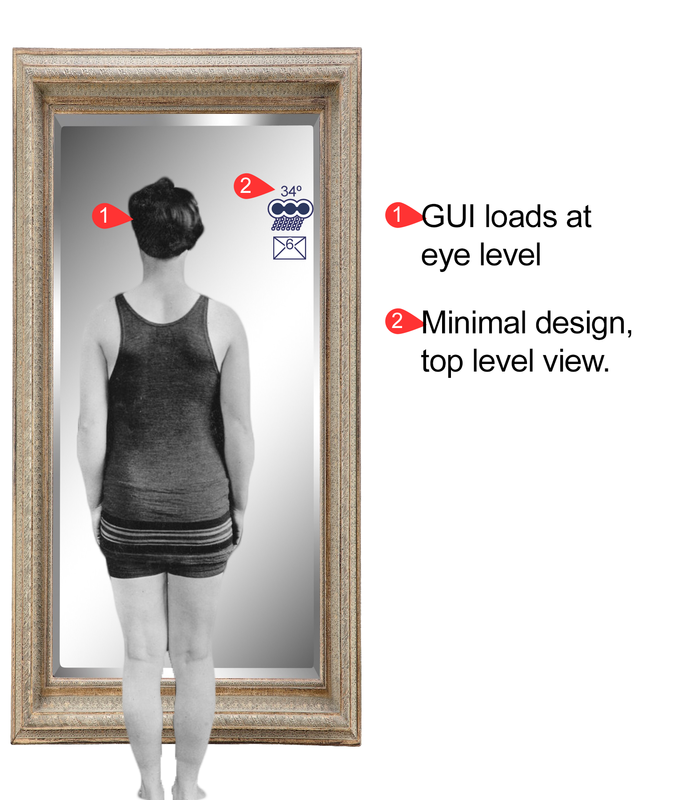 The sketches depict rough interaction concepts either performed directly with the mirror (through gestures) or through smart devices like phones or watches. 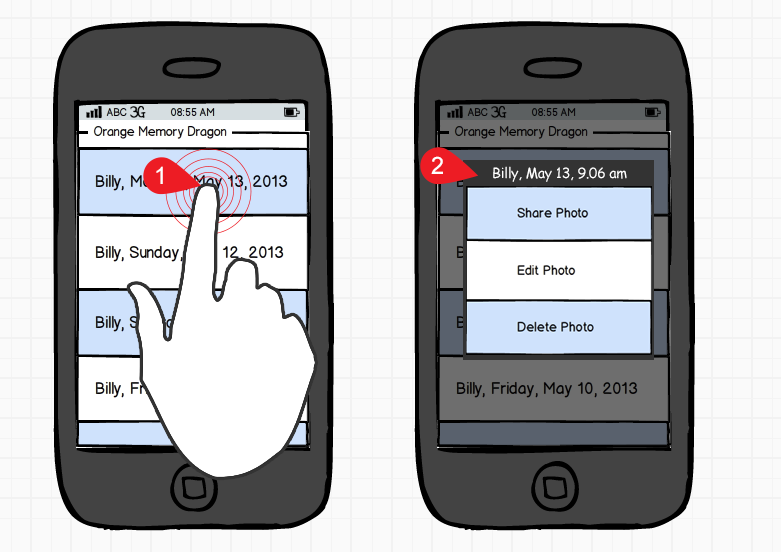 The next phase of design, we worked on the user experience of the mirror. Next up, test out some different design patterns and how they might be of use in the context of our mirror and phone interactions. Some of the previous design work started to feel like looking at a computer screen. This is not a replacement device, just an assistant to your already tech-heavy life! How can we simplify previous designs while maintaining functionality? That is all for now folks, we had a great time learning from Kelly Franznick!